Get the leg up on your competition by building your job interview skills. Here’s how our platform works. Signing up is simple, easy and FREE. 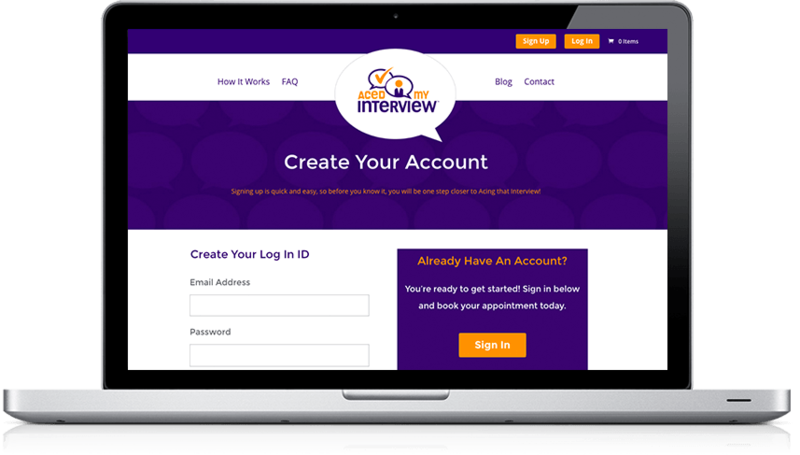 Conduct a video interview from the comfort of your home, dorm, or classroom. Your Interview Specialist will make an evaluation based on a series of professional performance metrics.You’ll receive an email notification when your AcedCard™ is ready for review.